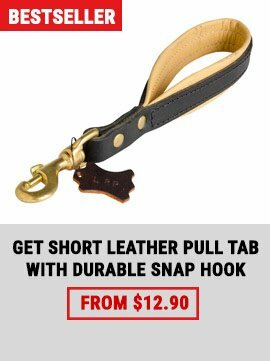 Constructed from finest quality soft and strong leather, this pitbull harnesses is very comfortable for a dog to wear incredibly strong. Like all our harnesses this one is also sewn with polyester thread and is fitted with high quality buckles to create resilient, robust harness, which will ensure comfort and security for years of dog walking or tracking.Tracking requires that the dog can pull into the harness, but still move freely, especially in difficult terrain. We offer this popular, non-restrictive type harness, because of its superior design. 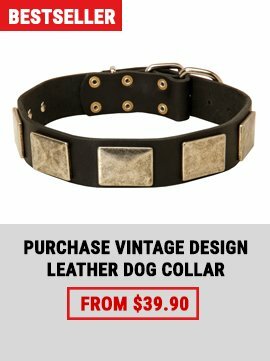 Fully adjustable - both front and back.Gives your dog the best of both worlds - comfort and strength. Heavy duty stitched and riveted. 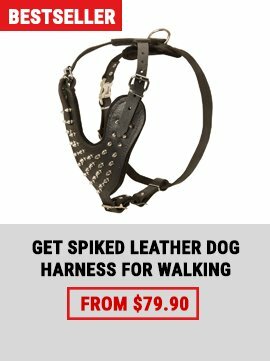 We offer this popular handmade, non-restrictive type harness, because of its superior design. 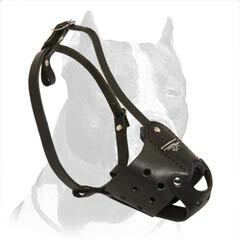 This harness has a padded breast plate to cushion the dog when it hits the end of the line while doing protection work.